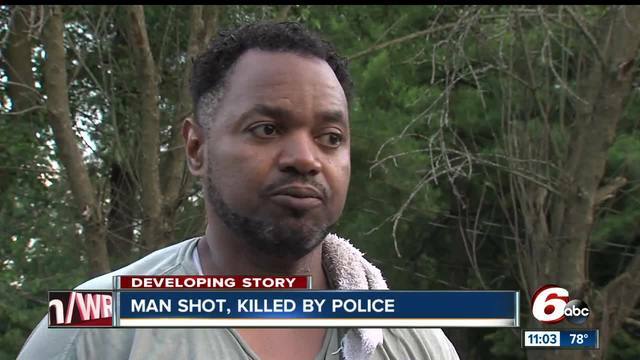 INDIANAPOLIS – Those who knew Aaron Bailey, the man shot and killed by Indianapolis Metropolitan Police officers early Thursday morning, reacted to his death and shared their memories of him. Thomas Graham, Bailey’s former landlord, said he rented him an apartment and knew of his family. He had just seen Bailey at the store hours before he was shot. “I know him and his daughters and son. He was a good dude,” said Graham. Around 1:45 a.m., police pulled over Bailey’s vehicle near the intersection of Burdsal Parkway and Riverside Drive. Police said Bailey fled from police and led them on a brief chase that ended when he crashed into a tree near the intersection of 23th Street and Aqueduct Street. According to Chief Bryan Roach, the two officers then fired “multiple” rounds at the vehicle, hitting Bailey. He was taken to Eskenazi Hospital where he later died. Graham said Bailey wasn’t known to carry a gun and insisted that he was not a violent person, despite multiple run ins with the police. Call 6 Investigates uncovered police reports showing Bailey had been the subject of at least 16 incidents involving police dating back to 2014. He had been the suspect in cases involving theft, robbery, auto theft and carjacking. Graham said he does believe Bailey struggled with some form of mental illness. 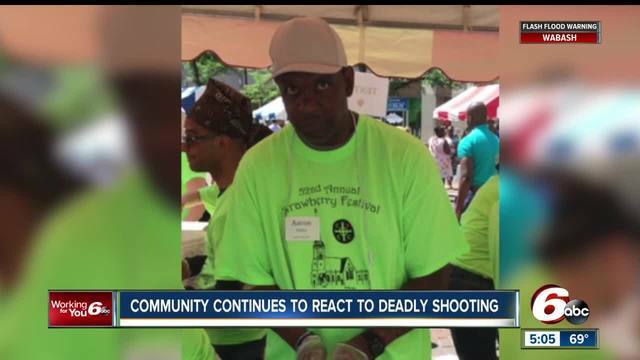 Roach said the incident will be treated as any other death investigation and believes this is an opportunity to “increase the trust and legitimacy” the community has for police.